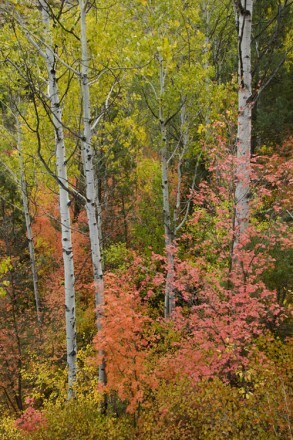 The dazzle of fall color that blankets the walls of Logan Canyon each year rivals that of any autumn show in the country. The bigtooth maple begins the season with a lustrous dark green lobed leaf with a pale underside that will put on a show of striking brilliance in the fall. 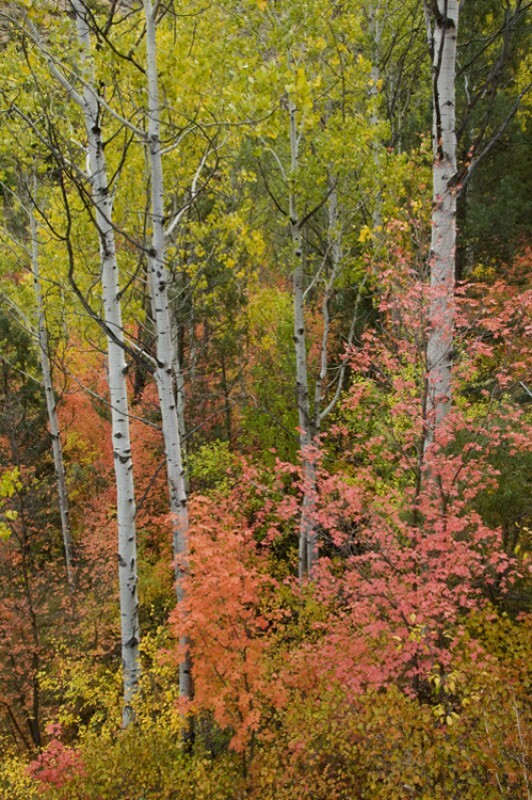 The leaves change into beautiful shades of red, orange and yellow before dropping and carpeting the northern Utah understory.